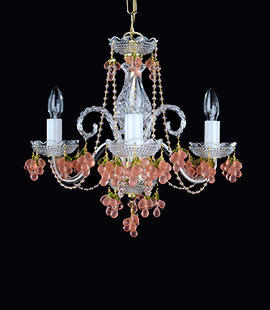 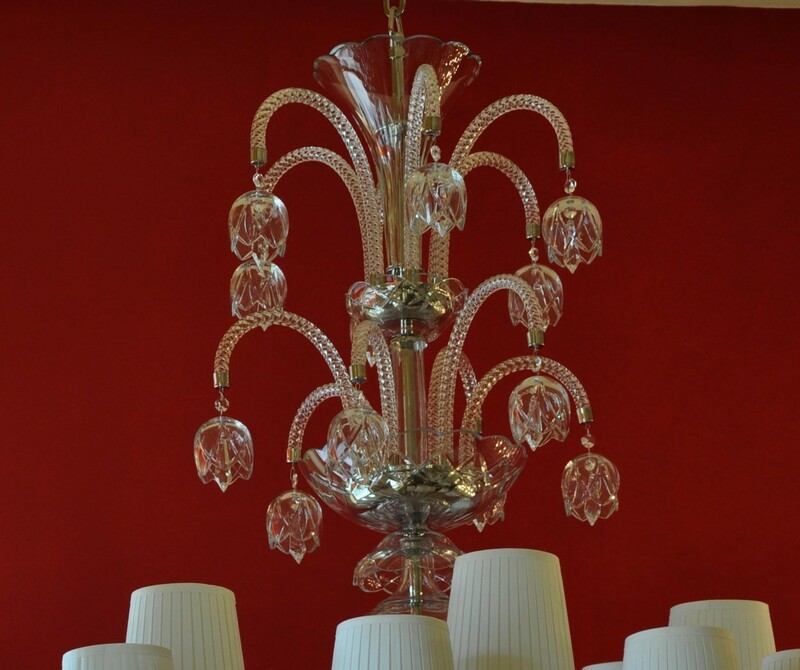 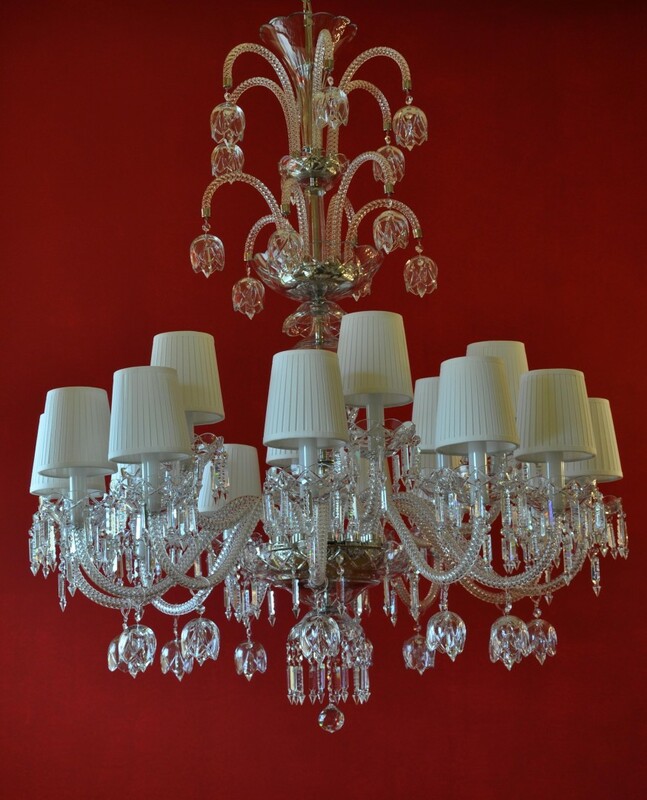 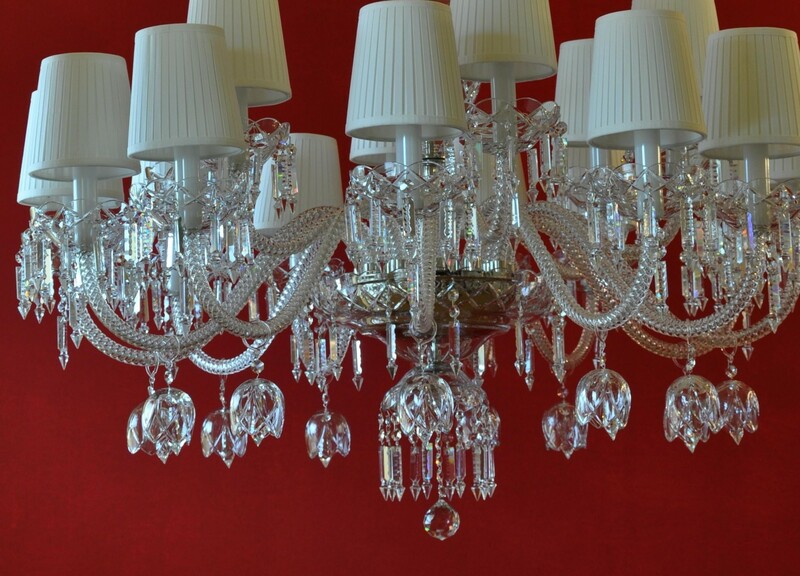 The custom-made crystal chandelier with the cut crystal bells and lampshades. 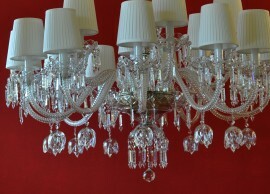 16 glass arms. 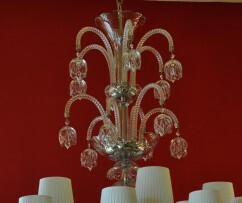 Silver Nickel plated brass. 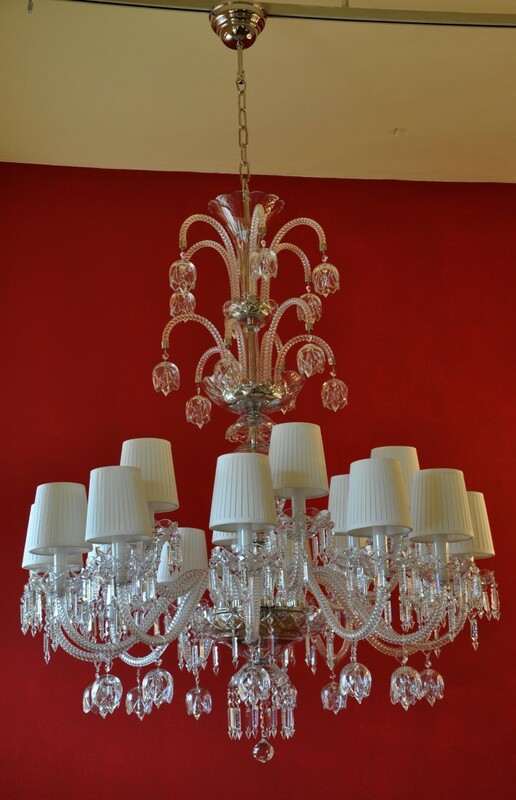 The custom-made crystal chandelier "crystal bells"
16 glass arms, 16 candle bulbs E-14, 40 Watts with the white textile lampshades.